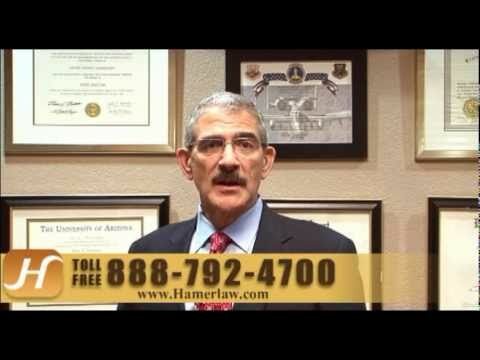 Auto Accident Attorney Tucson | The Hameroff Law Firm, P.C. If someone drives drunk, or drives faster than road conditions permit, your life can change in an instant. Many people do not know that they may be entitled to compensation for medical bills and lost income. Because they already have car accident insurance, many Tucson victims think that filing a claim just isn’t necessary. We wholeheartedly disagree. Every car insurance policy has a dollar limit for benefits the insurance company may pay out. Even that might not be enough if you suffered a catastrophic injury. Or you have been hit by an uninsured motorist, and don’t know what to do next. You have rights, and The Hameroff Law Firm, P.C. wants to protect them. Some of the questions clients commonly ask are included below. To speak to a qualified personal injury lawyer at our firm, please Contact us at info@hamerlaw.com. It’s been a year since we lost our dad in a fatal car crash. Can we still file for damages? Every compensation case has a statute of limitations, generally two years. But the statute is much shorter under various circumstances. Do not wait. If your dad was killed by the careless actions of another motorist or wrongful death, you may have a valid claim. To find out for sure, Contact us at info@hamerlaw.com our law office for a confidential consultation. We need to meet to sort out the facts as quickly as possible. A member of my family was injured by a distracted driver. Do I have a case? Arizona currently has no special sanctions for distracted driving, or driving while talking on texting on a cell phone. But the driver certainly may be held accountable for the negligence which caused the car accident, and lead to the loss of your loved one. Our attorneys have years of experience in dealing with insurance companies, and we feel comfortable pressing your claim through vigorous negotiations and in court. If I sue the drunk driver who hit me, can I sue the bar as well? Under the Arizona law called the liquor liability law, bar and nightclubs are prohibited from serving alcohol to visibly drunk patrons. If the establishment still serves the customer, and that driver is involved in a drunk driving car accident, both the drunk driver AND the bar are liable for civil damages. So you could pursue compensation from your injuries from both parties. My mom suffered severe fractures due to a careless driver. What are our options? In order to pursue a damage claim for fractures and broken bones, we need to prove that the driver was negligent, causing the car accident and the resulting serious injuries. We have more than 25 years of experience pursuing compensation claims for people from all walks of life. To schedule a confidential consultation with a personal injury attorney at The Hameroff Law Firm, P.C., give us a call in the Tucson, Arizona, area at 520.792.4700 anywhere in southern Arizona. You can also send an email at info@hamerlaw.com. I want to pursue money damages for scarring and disfigurement in a car fire accident. What should I do next? We would like to meet with you for a confidential consultation to discuss your scarring and disfigurement claim. We investigate accident claims thoroughly, looking at the police report and reading your doctor’s assessment of your injuries. We need an evaluation from a reconstruction surgeon. If you do not have a doctor, we would be glad to recommend one from our trusted network. Please send an email at info@hamerlaw.com or call 520.792.4700 or 1.888.792.4700 to schedule an appointment with a lawyer.